Samsung after launching the all-new Galaxy Note 9 in the last month is now seems to be all set to launch the next new smartphone. The company is said to be holding an event which was announced by the company which is called A Galaxy Event on 11th October 2018. Till now there are no official words till now about the device, but it has released a teaser about it as 4x Fun. 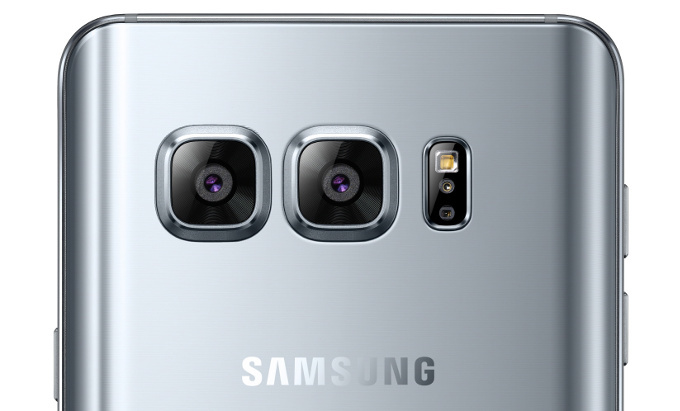 It has been said that the company will launch four cameras at the back. As per Tipsters, it indicates that there are about four cameras which are not inclusive of two cameras that are present in the front as well as two cameras at the back. But it is beloved that the phone will have about four cameras at the rear end of the smartphone. This new smartphone was published in a tweet with the words 4x fun which has confirmed an event on 11th October. The company has also said that this event will get the live stream on the Samsung official website. This has been said by the tipster Ice Universe which is about a week ago. The website has suggested that the company will be launching a new smartphone which will have four cameras. This leak has seemed to b real as the company is now all set to unveil the new phone which has got four cameras. In this event, Samsung is also expected to launch the first bendable smartphone in this year which the reports suggest that that will be the November launch. The event is said to be the first of its kind where we can see the bendable device for the commercial use. AS per DJ Koh, who is Samsung’s mobile on the sidelines of IFA 2018 who have announced that the handset will now be becoming a reality at the Samsung Developer Conference (SDC) in San Francisco. For this, it is said that this October event is something else. There may be a new Galaxy a (2019) series as it is traditional launches during the December to January timeline. This all-new series of Galaxy smartphone is said to have a triple camera at the back along with the in-display fingerprint scanner in the new smartphone. Till now there is no confirmation about this all from the company, so we have to wait till some official words about this all.